Following the decision of its board last Thursday to not remove its CEO from the role, Groupon has suffered at the hands of investors. Comparing the company’s closing price before the decision to its current trading price, Groupon has declined more than 15% since Andrew Mason was kept in the command chair at the company. Groupon, now valued at $2.5 billion, has shed the majority of its value since going public, as the company transitioned from growing its revenues at breakneck speeds into a more mature company. For the coming quarter, Groupon expects revenues to fall between $625 million and $675 million. At the high end, that would be a 37% gain on last year’s Q4. Including $30 million in stock-based compensation, Groupon expects to earn between $0 and $20 million in the quarter. As the company has reformed its internal controls, stemmed losses, and become a more stable firm, investors have punished it; its rich valuation in the public markets was due to its ballyhooed status as the former fastest growing company of all time, and when it lost that particular momentum, it lost its shine as well. 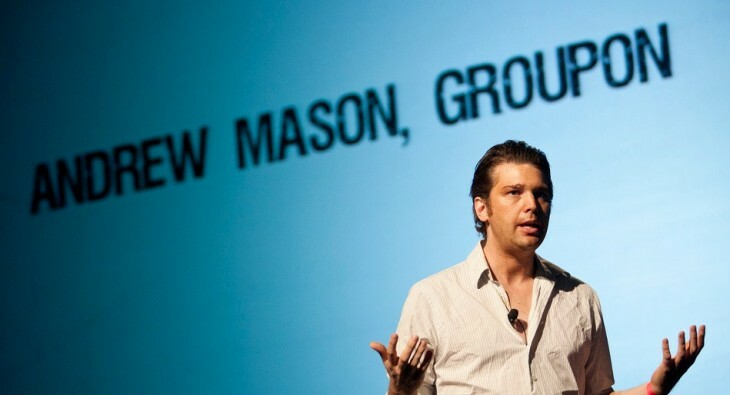 Andrew Mason, the company’s founder, has overseen its dramatic rise and fall. The company is trading at less than half of the price that Google reportedly offered it, when the full earn-out of that deal is taken into account. Interestingly, Groupon is now trading at, taking its coming quarter and extending it for three more, roughly a ratio that puts its revenues and valuation on an even level. To its credit, a hedge fund picked up 9.9% of the company’s stock after steep declines. TNW speculated that perhaps the market had overcorrected on the company, and had thus made it almost a value play. We’ll leave the final scoring to you.